Today mobile app development is one of the most prosperous areas of business. Mobile apps are developed to get money for each activation or to support the business providing a competitive advantage. However, sometimes mobile apps are developed not as a direct tool to get profits (from app purchases or subscriptions) or as a solution for some business technical issues (for the in-house use). Mobile applications have become a very powerful marketing tool. Mobile Apps as Marketing Tool image The Decade of 350 Billion App DownloadsAn application made for marketing is an opportunity to build demand for the product or service. And today we have made a list of options for marketers who are going to use mobile applications in their work. Create useful apps. This is one of the latest trends. Today, people want to spend time usefully not only at work. There are some tasks that can be solved on the way to work, for example. Everyone who lives in a city faces traffic jams and long queues and doesn’t know what to do with this downtime. So, you can develop such an app, which would allow people to spend their time with advantage. 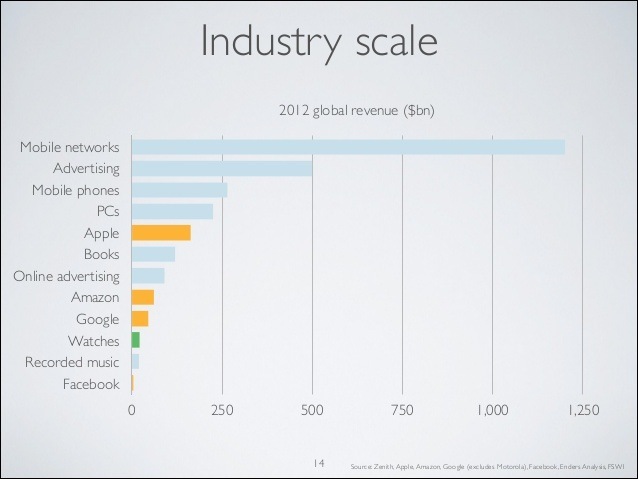 Think about developing apps for iPad or Android users. Make a list of what a potential customer would like to do on the way to work: to learn a new language, to listen to a podcast, to read a new eBook? Focusing on the list you will be able to predict what app you need to develop. Currently opportunities of mobile app developers are so broad that they can create almost any program, turning it into an application for mobile gadgets. So, do not limit your imagination and flow of ideas. But also remember that the app should have a direct and clear marketing purpose. Don’t forget that application should be not only interesting, but also it should generates leads. Create interactive applications. Mobile assistants are a great option for marketing your business, if you want to attract people who like to learn something new and want to systematize actions required to perform a certain task. Audience of such application can be very diverse. Starting with housewives who want to find out how to manage a day and ending with CTOs who need online help in their field. You will certainly find the target audience who need interactive help and will offer something to make their lives more comfortable. Create media applications. Media applications is a great outlet for all kinds of news portals. Such applications deliver content directly to users. You can think over development of a media app if you have a solid audience online. Sometimes media applications are developed for those who have popular communities in social networks. But in this case you have to come up with a really original idea to make people want to install the application. If you just offer the same news as in the community, people won’t load the app, they will use the well-known Facebook app instead. Create applications that help to plan and track the results. In other words, applications that allow users to set goals, track the process and analyze the results will be truly effective in the marketing. Create time-saving applications. Any application that will help your potential customers to save time and simultaneously will be a marketing instrument for your product/service is a must to develop! Think how you can save your potential customers at least an hour a day. It may be similar to a simulator on time management: certain tasks on time and so on. It mainly depends on your target audience. If you manage to develop an effective system of time management teaching the client to save their own time using your app, and you come up with how to implement your product marketing in this application, then certainly you won’t be left without income. 1) Don’t forget that marketing mobile apps should be developed with a definite marketing goal, otherwise it will be a budget waste. 2) Apps have to be really helpful to your potential customers. 3) Apps should be free. Don’t make your life harder: people love free offers. 4) Try to come up with an effective way for the marketing function activation and do not just advertise your product in the application. Do not be intrusive. People will appreciate it. 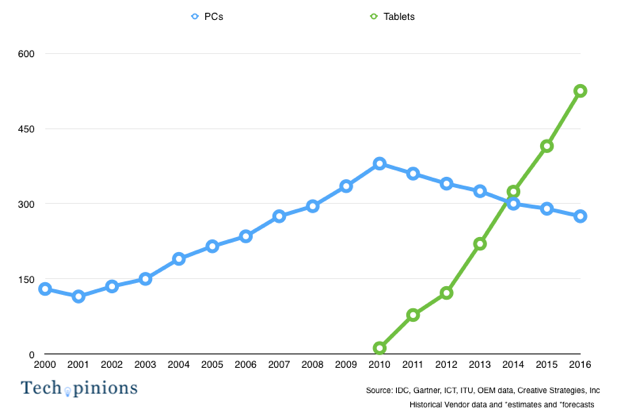 More people are shopping on mobile devices than ever before. 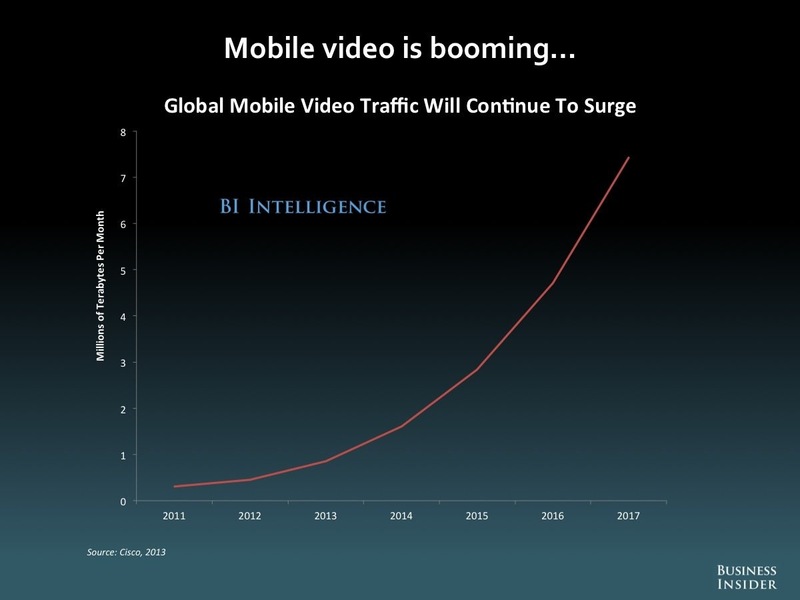 Is your business prepared to satisfy these mobile bound customers? 4) We have to make ready or it will pass us by or, more likely, sweep our current way of conducting our businesses away. 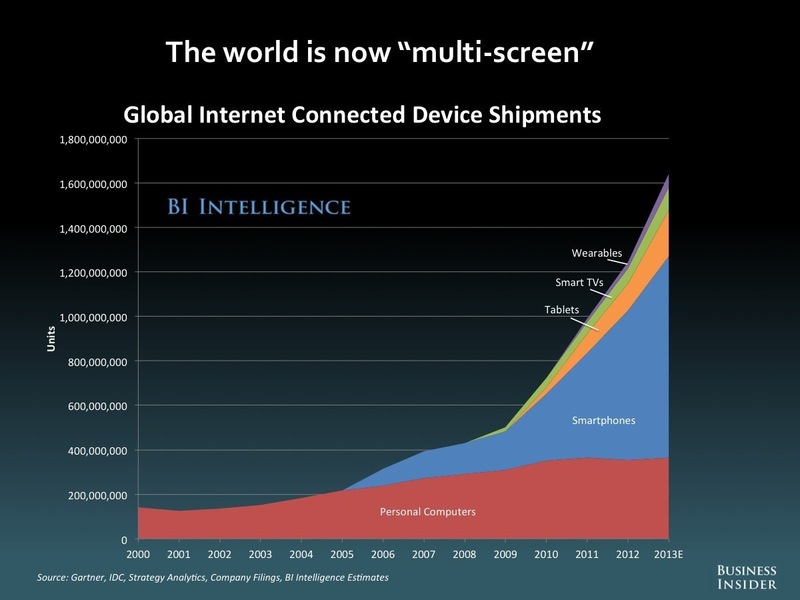 I believe that the iPhone and iPad is to mobile computing what the Model-T was to cars. The above chart, from Horace Dediu of Asymco, shows the growth of the car industry before and after the introduction of the Model-T. There were literally hundreds of car makers who, in the twenty years prior to the introduction of the Model-T, were all trying create THE car that would make the fledgling auto industry viable and profitable. As it turned out, it wasn’t so much the car itself, but a new method of cheaply mass manufacturing cars in quantity, that proved to be the key to unlocking the value that lay the car industry. 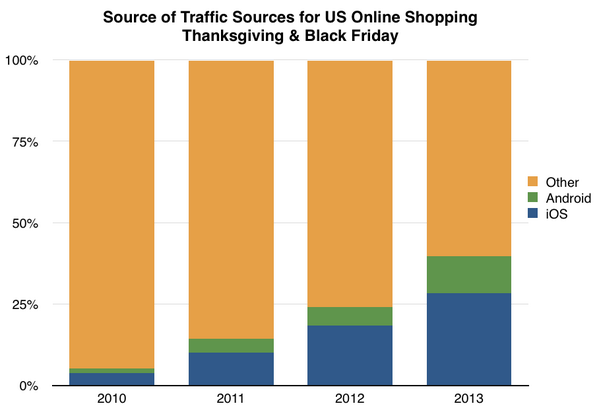 – As you read the follow data concerning mobile, keep in mind that Black Friday sales were DOWN this year. – However, online shopping was UP. – And sales of electronics were up; sales of mobile devices were up, Up, UP; and sales of tablets, in particular, were out-of-sight. – Apple has 500,000 iPhone 5Ss being made every day, its highest ever output. – eBay reported selling one iPad per SECOND as of midnight on Black Friday. – iPad Mini the top seller at Walmart. – Apple products were 22% of Target’s sales on Black Friday. Stop! You might want to re-read the above. 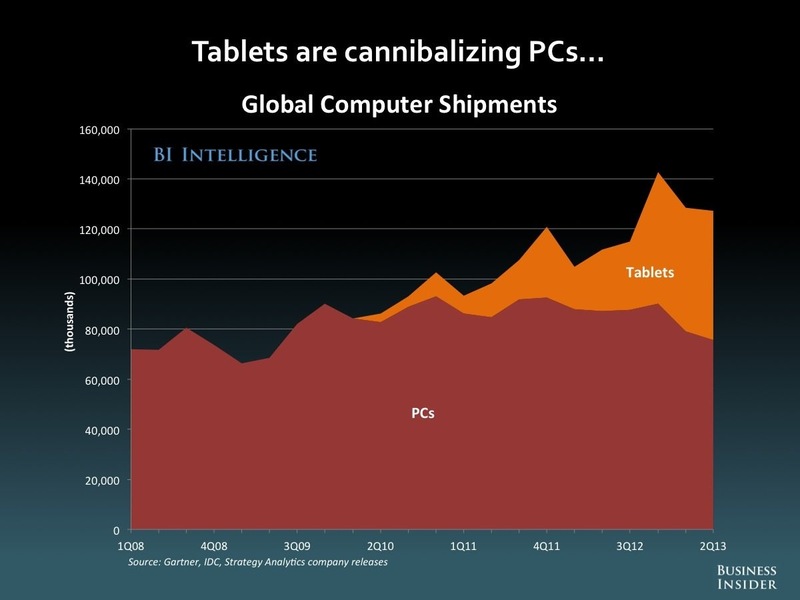 Tablet sales might overtake TELEVISION sales in the next few quarters! – Some say that as ugly as those forecasts look, reality is going to be worse. 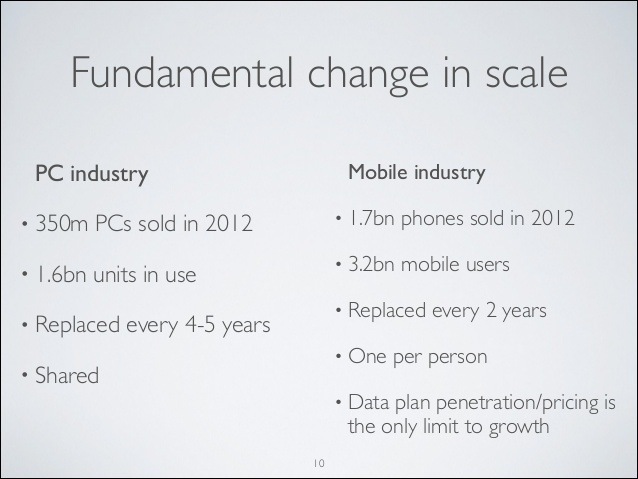 In 2013 the Tech CEO Bodycount3) included Microsoft, BlackBerry, Acer, Nokia with HTC teetering on the brink. And that’s just in 2013. 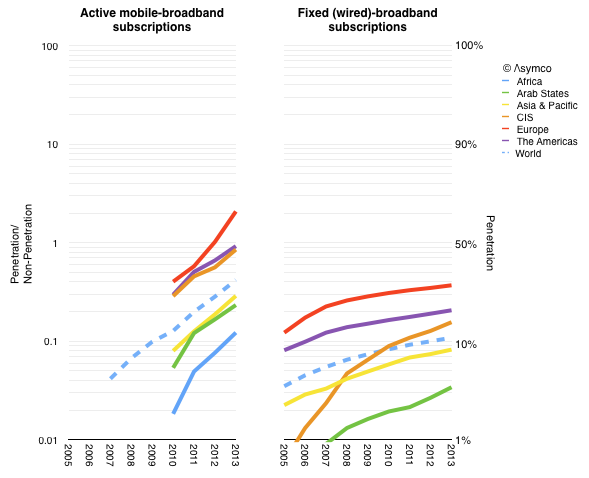 Take a good hard look at the mobile broadband is growing and wired broadband is tapering off. 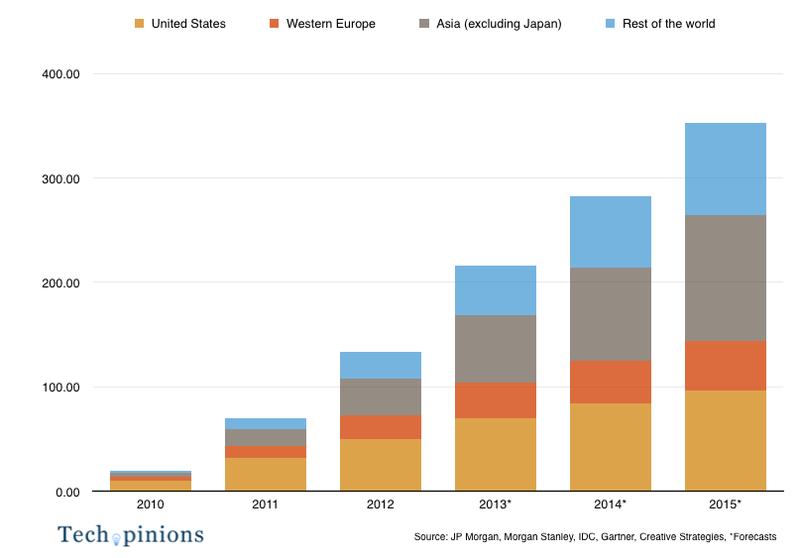 The online shopping “Pie” is getting bigger. Online holiday shopping (desktop and mobile) in the U.S. was up 14.5% from last year. 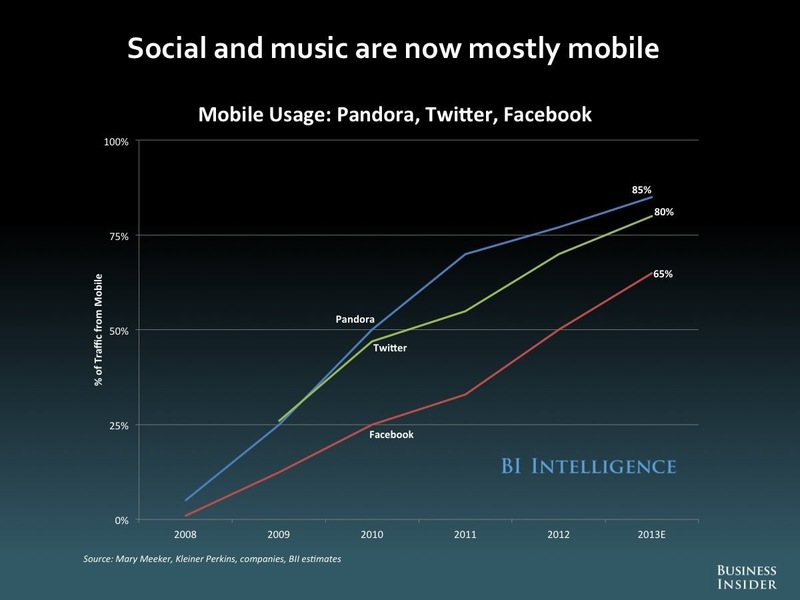 Mobile is becoming a bigger portion of the bigger pie. Well, mobile devices are personal. Each person uses their own phone, they don’t share it with family members. A family, for example, may share a single PC at home, but each family member may own their own phone and even their own tablet, too. 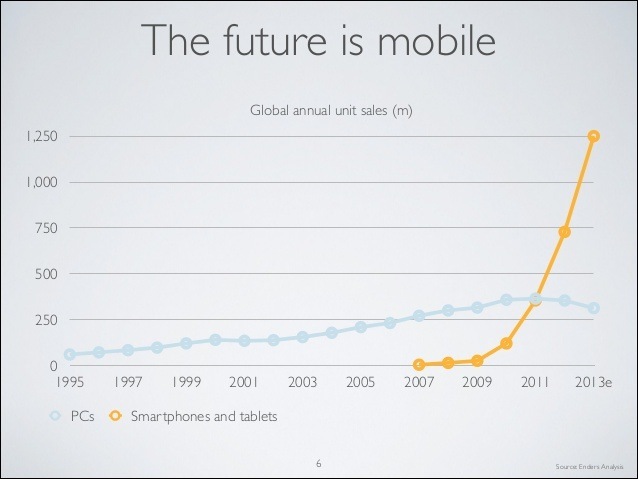 2) Mobile computing is our PREFERRED way of computing. 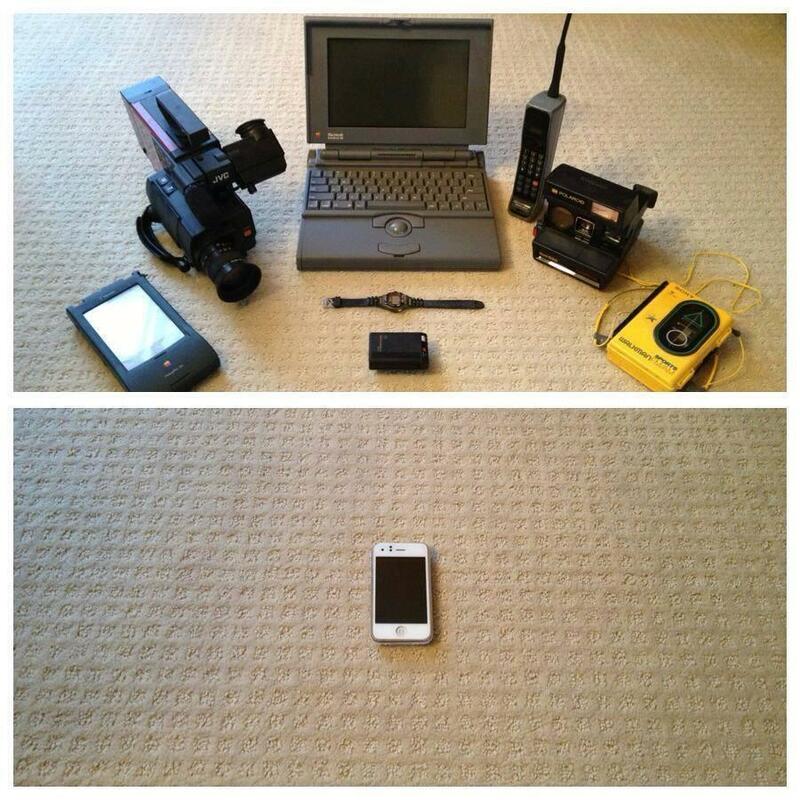 This represents a true sea change in computing. When people are away from home or office, they choose the phone. 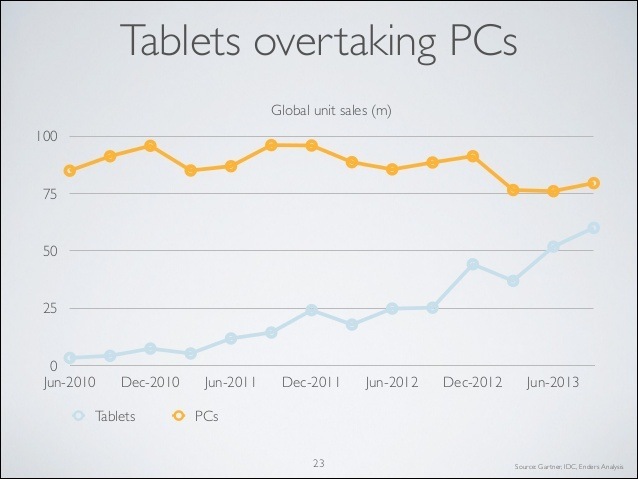 When people have a choice between a phone, a tablet and a PC, they choose the tablet. 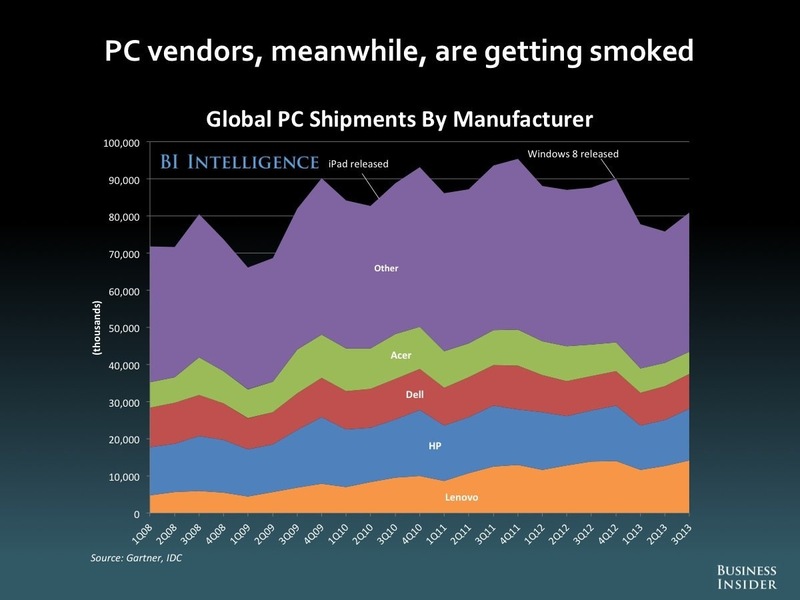 The traditional PC has become the last choice, not the preferred choice, for the majority of computer users. 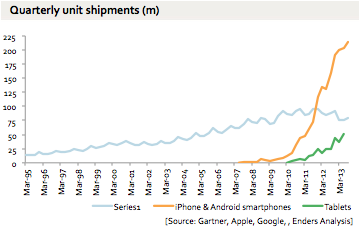 If you don’t think that mobile computing is coming for you and your business, you’re either mad or you’re a dumb duck. Either way, you’re in big trouble. Change is coming and it’s coming a lot faster than we think. We can ride the wave, or we can get swept away. The choice is ours.